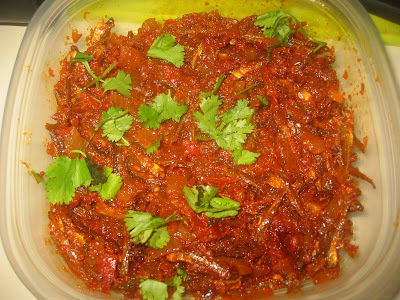 Normally I don't like to eat fish at all especially fish curry but I love to eat fried fish or Chinese style prepared fish..this is one of my hubby's favorite fish fry with very little oil used..I use tilapia fish but you use the fish of your choice too..The usage of oil in this recipe is only 2tbsp.. In a large bowl, add all seasoning ingredient and coat the fish well. Let the fish marinate overnight...the taste will be good if leave overnight. Or you could marinate it for 3 hours.Coat a frying tava with 2tbsp of olive oil....Fry the fish until the both side golden brown.